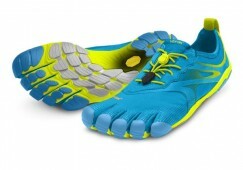 This is the largest online supplier of Vibram FiveFingers in Ireland having been established in early 2010. With over 1200 unique visitors per month and a customer base exceeding 20,000 the site is a ready made home business for someone ready to build the site to the next level. Full training will be included covering product training, eCommerce platform, order processes and supplier contacts. Included in sale: domain, all social media collateral, contacts, small selection of sales samples and training. Location: Home based business currently operating from Midleton. Business can relocate to any location. Utilising drop shipment facilities allows for business to operate from home with minimal storage requirements. The site has been approached by a number of complementary product manufactures in recent times which would add to the product portfolio and potentially increase turnover. Contacts will be shared. This is the premier online shop for Vibram FiveFingers in Ireland and operates in the minimalist footwear niche. There are a few competitors within the sector however Vibram FiveFingers lead with over 70% of the sector.